Ujlail has a dream to become a teacher one day. Her parents are migrant laborers from a small UP village in North India. She lives with her 4 siblings and parents in Khoda Colony, a settlement colony famous with migrant workers from all over North India. She goes to a private school in morning and attends the informal school in the afternoon (One of the Pvt. 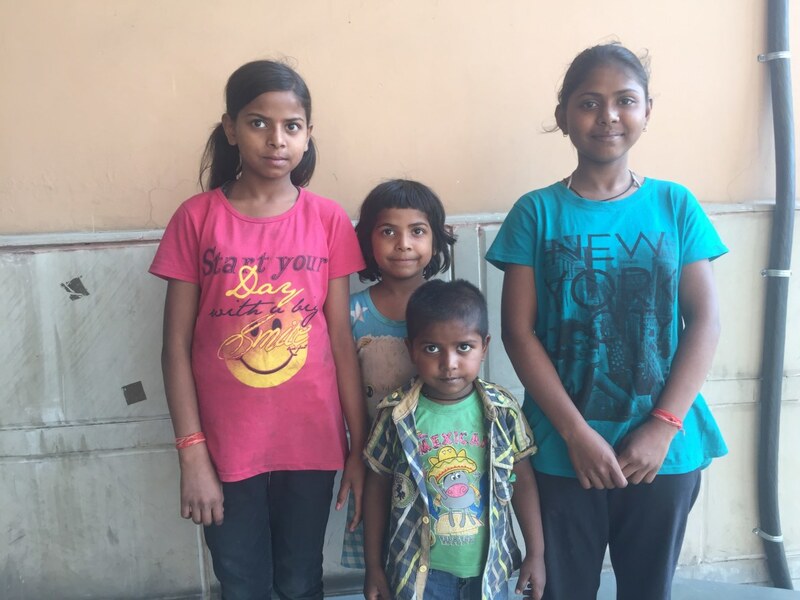 School in Indirapuram allow these under privileged children to use their facility in the afternoon). 4 teachers help the students. This evening school has 200+ children from the age group of 4 to 18. Many of them do not attend any formal school. We have identified 2 different groups of children in the evening school. Children, who do not attend a formal school (52%), come to the evening school so that they can learn to read and write. Children, who attend local private Schools and Govt. primary school. Our Urgent need is to raise funds in 2 different categories. As the parents cannot afford the cost of education all the children in the family do not get the opportunity to attend the formal school. Many students start schooling at the age of 8. The common story I heard from the teacher that many students will drop out from formal school this year too as the parents are not able to arrange the cost of books and uniform. Our immediate need is to raise funds to help them to get books and uniform so they can continue the formal school studies. Our second priority is to enroll every student to the formal school. We have identified Govt. schools in the vicinity and educating the parents to enroll them to the formal schools. This is also a big challenge as many of the parents and children do not have a valid identity to enroll them to a formal school. WE, Kekkeyellam Foundation, is working closely with the staff of informal school in Indirapuram, Ghaziabad, Uttarpradesh, to educate them to make a better tomorrow. I need your support to help these children to have a new set of books and uniform so that they can start the new session in a formal school. 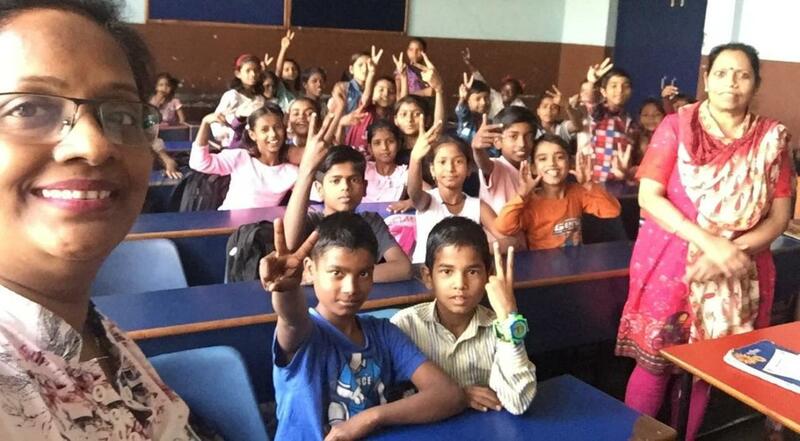 These children come to the evening school to study for 2 hours. Many are attending private school in a near by slum. I met 130 students last week in the school, 68 of them do not go to attend any formal school. Why they come to attend these school? They want to learn read and write so that they can get admission to a formal school. This week we plan to order books for students. We have identified most needy ones and planning to distribute books by 5th of April 2018. WE need funds urgently to help the students to continue their education. Today I met Naina, a chirpy 13 year old girl, and 3 siblings, all so enthusiastic to go to the new session. They study one of the Govt. Schools in Indirapuram. She is promoted to Class 8. Her mother has ironing cart opposite to a multistory apartment in Indirapuram. Naina's mother irons clothes on a cart outside a residential society. 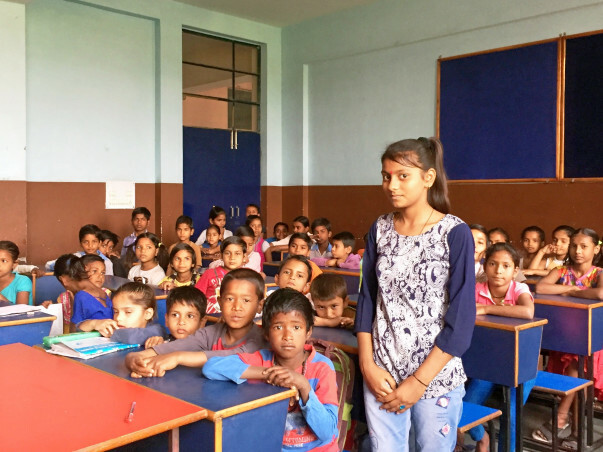 With her meager earnings, the mother managed to send Naina to an English medium school up to class VI, but her mother could not afford the cost anymore, Naina started going to a nearby Govt. school. She is the class toper and gets 90% in all the subjects. She is very talented and won many prices in Art& craft and sports in the school. I support Naina and her siblings for a better future through education.. Will you support me ?